Many people are comfortable and used to using Amazon to shop for a lot of the products they want to find online, and Amazon is now a trusted household name. 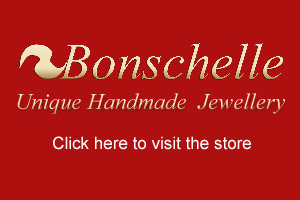 We are therefore pleased to announce that you can now find selected Bonschelle jewellery items on Amazon.co.uk. Our prices are slightly higher on Amazon but we understand that customers might wish to shop in one place for items, with a familiar large online retail outlet. You will still get the same great service and quality from Bonschelle! We have a limited selection of pendant necklaces available on Amazon at the moment but will be expanding the collection there soon - just search for our name to find us there, or go direct to our Amazon listing page. If you have any questions about buying from Bonschelle through our own web store or through Amazon please don't hesistate to contact us!